We are very, very proud of you, dear Josy. 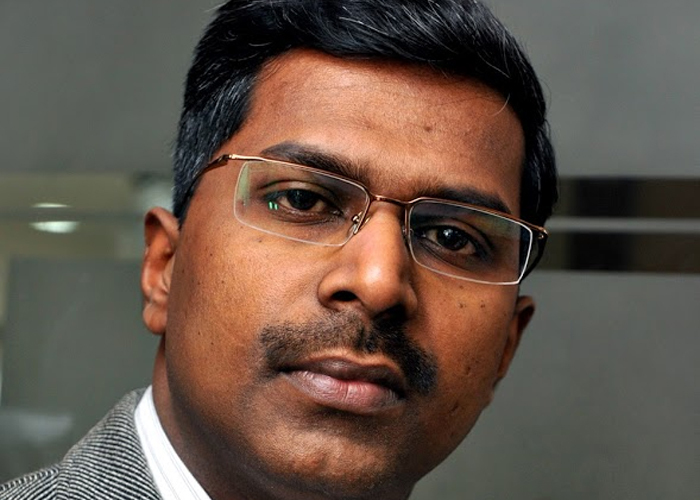 Josy Joseph, Editor – Special projects at Times of India and from the Class of 1991, who exposed the Adarsh, 2G and Kalmadi scams has been awarded the Prem Bhatia award for excellence in political reporting. The Prem Bhatia Trust‘s citation reads : For his scoops and revelations which includes list of scams that have become familiar names in the political lexicon. They range from the Adarsh Housing Society to the Commonwealth Games and the 2G spectrum. In March 2011, he was felicitated by the alumni of NSS College Cherthallai, for being the outstanding alumni of their college. In December 2010, at Kottayam, the Kerala Union Of Working Journalists (KUWJ) had felicitated him, for outstanding contribution in the field of journalism. You can follow Josy’s articles at the Times of India here. I somehow missed reading this article till now. Josy was one of the first to support me in my hour of need and help me to take on a mammoth like Indian Army Bureaucracy. I have pasted the link to the article that he put in TOI followed by the the copy of Court Order. And promy you saved me. unconscious for half-an-hour and on regaining consciousness, he had loss of memory for 10 minutes. benefits as per the Ext.P1 scheme, forthwith, and relieve the petitioner from service. iii) To declare that the petitioner is eligible for the benefits of the Ext.P1 scheme as per the Ext.P10 order. contracted this disease and therefore, the petitioner is not entitled to the reliefs prayed for. 3. I have considered the rival contentions in detail. Court of Enquiry constituted specifically for considering this issue also came to the very same conclusion. opinion that it cannot be due to fall during Kargil War. unit was deployed in Cl Opn and he was appointed as the 21C of an assault team in CI Opn (O.P. RAKSHAK) and in OP. VIJAY. For his performance in CI Opn (OPRakash) he was awarded Sena Medal. Arly splinter he was awarded Wound Medal. days) wef 10 August 2000.
and attributed the disability to Mil service in OP. Vijay. Operation Vijay in Kargil war. 8. Further, all along that officer was in the defence service. He was actually working in the war front itself. the petitioner has not contracted the disease ‘stroke in the young’ because of the fall during Kargil war. from the date of receipt of a certified copy of this judgment.